Carbonated drink filling machine is widely used to soft drink filling,aerated water filling,soda filling etc. 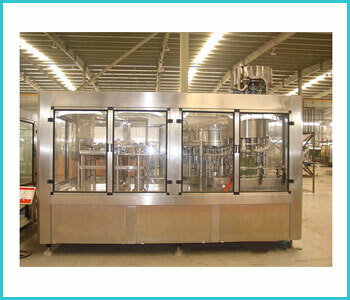 Carbonated drink filling machine is beverage filling equipment which can handle glass bottle filling,pet bottle filling. Carbonated drink filler also can be used as a soft can filling machine. Can filling and seaming machine will be monoblock operation for carbonated drink filling machine. 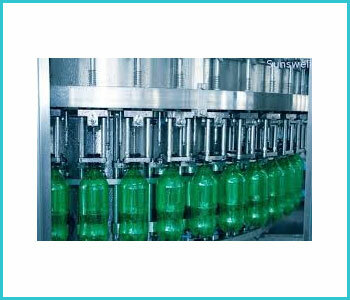 Glass bottle filling & pet bottle filling are possible on carbonated drink filling machine. Pressure filler system is adopted in carbonated drink filling machine. The speed of production is varied from 5000bottles/day to 50000bottles per day with different models of carbonated drink filling machine. Carbonated drink filling machine is Medium Speed & High Speed Version of Carbonated Drink Filling Machines specially designed for Soft Drinks, Carbonated Drinks.Suitable for Bottles, Cans. Online Pressure filling unit with capping, can seaming unit for all type of bottles.The Machines is controlled by PLC. Speed: 100-300 Cans/Bottles Per Minute.